SCANZ 2017: Ocean*Energy – brought participants to Mahia on the East Coast of the North Island, Aotearoa NZ. In some ways, in direct contrast to the home based Taranaki landscape of previous SCANZ, the location gives another perspective, another gathering of people to share in conversation, collaboration and creative practice, exploring the theme of Ocean*Energy. 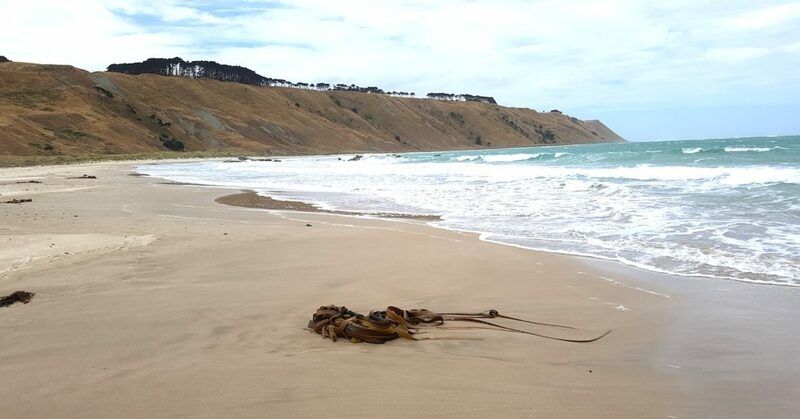 The project acknowledged indigenous connections within the 2017 Ocean*Energy theme and the residency location at Te Mahia Peninsula, a site of significance for local Māori. Tangata whenua and Tidal Arts Incorporated Society were hosts who provided support and guidance to those gathered. The core of the residency consisted of thirteen people – three international, eight local and two satellite participants based in the USA. A number of local community participants both supported and participated in the residency during the ten days. The residency focused on process, collaboration and research, a different take to some of the SCANZ residencies in the past. There was an emphasis on an indigenous way of thinking in circles, a linear structure being woven throughout, giving a solid foundation with an opportunity to flow into different time, space and dimension. The residency included a circle gathering space that residents went into at different times during the ten days, as a way of listening, learning and understanding another perspective. Each participant added their own experiences, knowledge and skills, bringing new understanding to the theme of Ocean*Energy. Participants brought with them a project in development, which was subjected to interaction and morphed into more projects as the residency progressed. This generated a sense of new understanding as to the importance of process, collaboration, creativity and conversation. The project was an opportunity to see another perspective and further develop creative practice as well as contribute to the practices of others and the wider global conversations on environmental issues. Remainder of national, local participants arrive into Gisborne – travel to Mahia for residency.